Ready to change your life with LASIK eye surgery in Fredericksburg? Our award-winning team has been dedicated to improving lives through better vision for more than 35 years! With years of combined experience in LASIK, PRK and other forms of vision correction procedures, we have developed safety standards and indicators for all aspects of care and service, resulting in outstanding surgical results for our patients. Come in for a no-cost consultation, talk to our surgical team, tour the facility if you wish and see for yourself what makes Access Eye different. LASIK (laser-assisted in situ keratomileusis) is a laser eye surgery designed to correct nearsightedness, farsightedness and astigmatism and reduce or eliminate dependence on visual aids. The procedure reshapes the cornea, or the transparent surface of the eye, to allow light to properly enter and focus on the retina. 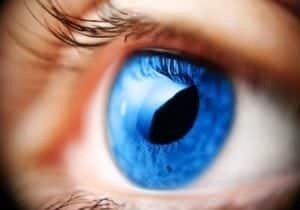 Millions of LASIK patients have experienced the wonderful results of the procedure and no longer need glasses or contact lenses to see clearly. LASIK is an incredible option if you are bothered by needing to wear glasses or contact lenses for clear vision. However, not everyone is well suited to LASIK surgery. You will be evaluated by Dr. Mansouri individually to determine whether LASIK is appropriate for your needs. 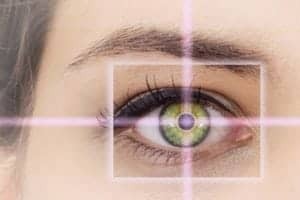 To qualify for LASIK, you should be at least 18 years old and in good health with no eye diseases or infections that could jeopardize the safety of the procedure. LASIK is not appropriate if you are pregnant or nursing. It’s also important that your visual prescription is stable — meaning that it has not changed in at least six months to a year — as fluctuations in prescription can compromise the outcomes. LASIK surgery is performed on an outpatient basis. It usually takes about 10 to 15 minutes, and the laser correction itself lasts less than a minute. Numbing drops are used to anesthetize the eye prior to the procedure for a more comfortable experience. Once the eyes are numbed, Dr. Mansouri creates a flap in the outer surface of the cornea; depending on the specific type of LASIK procedure, he may use a surgical blade or a femtosecond laser to create the flap. Then, Dr. Mansouri carefully folds back the flap to reveal the underlying corneal tissue, and uses an excimer laser to remove microscopic bits of tissue to reshape the cornea. Once he is happy with the cornea’s new shape, he re-places the corneal flap back over the eye, where it heals itself. A wide range of technologies for laser vision correction are available, including CustomVue or wavefront-guided LASIK, which allows Dr. Mansouri to map out specific imperfections of the eye and then tailor treatment around them. iLASIK and PRK are also available. Check out the videos below for more information on each of these procedures. The LASIK recovery process is very short. You may have watery or mildly irritated eyes and blurry vision immediately following the procedure, but these symptoms normally resolve within a day or two. Many patients are able to resume work and driving the day after surgery. For more information about LASIK surgery, please schedule a complimentary consultation with our laser eye surgery team. Call or email us today to make your appointment.